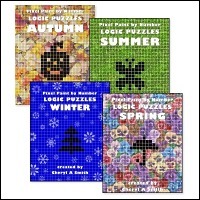 I have published 6 puzzle books, which are currently available through my website. If you enjoy puzzles, be sure to visit the promo page (click link below). I have a free sample puzzle available as well as puzzle instructions and more info! I am currently selling my hand stitched goodies through Etsy.com, a new website that is taking off by leaps and bounds. 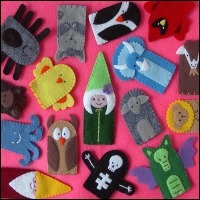 Currently I offer a wide variety of finger puppets and other plush goodies!